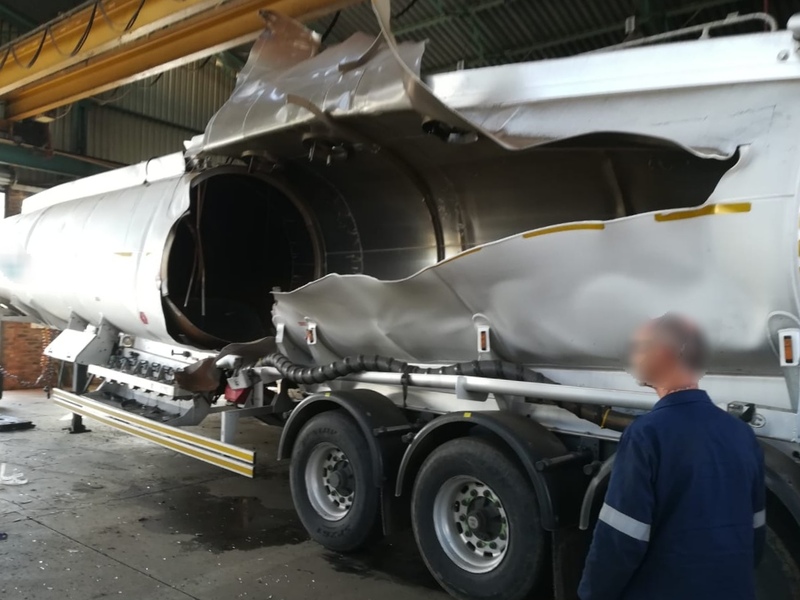 Gauteng: At 14H46 Saturday afternoon Netcare 911 responded to reports of an explosion at a warehouse in Jacobus Street in Florentia, Alberton. Reports from the scene indicate that an adult male began welding a tanker trailer when it exploded. Paramedics assessed the scene and found that one of the three males had sustained fatal injuries and was declared deceased on the scene. The second patient sustained serious injuries and required Advanced Life Support intervention. The third patient sustained minor injuries and was found to be in a stable condition. The patient however declined ambulance transportation to hospital. The critically ill patient once stabilised was transported by ambulance to hospital for further treatment.